Everyone is interested in winners more especially when you win at something not everyone is good at. Bryson Dechambeau is one such person who plays golf professional and has many wins to his credit. Below we give a rundown of his golf career as well as personal details like who he is dating and what he is worth money wise. He was born on the 16th of September 1993 in Modesto, California. His parents – Janet Louise Druffel and John Howard Aldrich DeChambeau – however, moved their family to Clovis when he was only seven years old. Bryson, therefore, went to Clovis East High School from where he graduated in 2012. When he was only 16 years old and still in high school, the kid won the California State Junior Championship. After high school, Bryson DeChambeau got a scholarship offer from the Southern Methodist University of Dallas, Texas to study physics which he honored. It was while he was in the Southern Methodist University that he won the NCAA individual championship in June 2015. In August of the same year he won the U.S. Amateur title and with that, he became not only the first player in SMU to win the NCAA individual championship but also the fifth player in America to win both the NCAA and U.S Amateur championship in the same year. The younger golfer joined such esteemed golfers as Tiger Woods who won in 1996 and Ryan Moore who won in 2004 to achieve that feat. Continuing in his quest to go pro with the game, Bryson made his debut for the PGA Tour in June 2015 as an amateur and ended in 45th place. He then played at the U.S Open for his first major championship but he could not make the cut missing it by four points. He was unable to defend his NCAA title in 2016 because the school’s athletic department received a ban from the NCAA. Bryson DeChambeau, therefore, decided to forget about his senior season and instead turned his attention to playing in smaller events before turning professional. Bryson DeChambeau turned professional immediately the Masters were completed in mid-April of 2016. he signed an agreement with Cobra-Puma Golf and made his professional debut at the RBC Heritage in South Carolina. He tied for fourth place and earned himself $259,000. With his move to turn professional he had forfeited his exemptions to the U.S Open and the Open Championships. DeChambeau had to qualify his way to the U.S Open and ended up tied for 15th place going home with over $152,000. His world ranking following that game climbed to 148. He was still unable to earn a PGA Tour card but did manage to enter the web.com Tour Finals, and he had his first professional win at the DAP Championship. With that win, he earned a PGA Tour Card for the 2017 PGA Tour. His first PGA Tour victory came on the 16th of July 2017 in the John Deere Classic with a single stroke over Patrick Rodgers. His second tour win was the Memorial Tournament on the 3rd of June 2018 over Kyle Stanley. 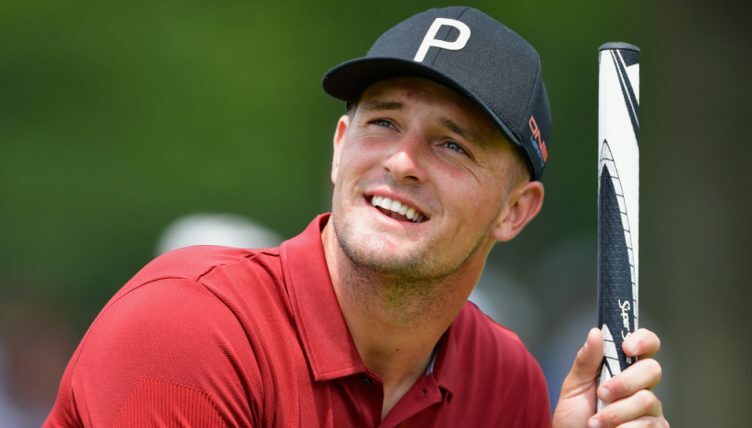 Bryson Dechambeau then set a new record for the Northern Trust tournament held at the Ridgewood Country Club when he achieved a score of 266 knocking off the former record of 270. 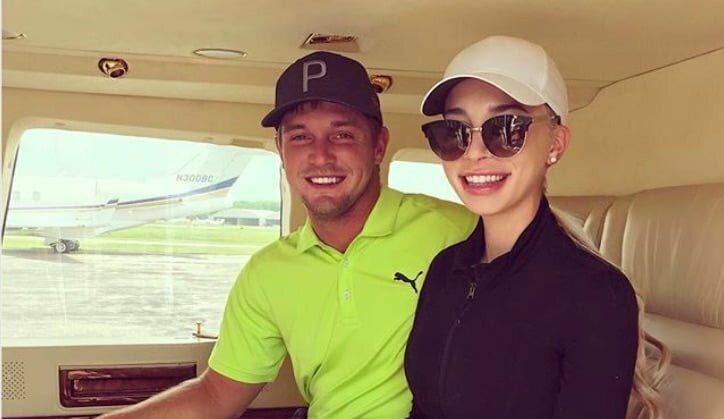 As if his rising career is not enough to make others jealous, Bryson DeChambeau is dating an Instagram model who has her own swimwear line. His girlfriend is Sophia Phalen Bertolami. Sophia tends to show him off on her social media and they seem to have a pretty sweet relationship. Bryson DeChambeau may be young but he is certainly getting rich. The professional golfer is said to be worth $10 million from wealth that he has earned over the course of his golfing career. He apparently makes over million a year as his salary. Bryson DeChambeau was in 2017 gifted with brand new golf clubs and a golf bag from President Donald Trump. He also uses rather unique clubs that have their irons and wedges cut to the same length of 37.5 inches. The clubs have an extremely upright lie angle that is pretty unusual. He tends to keep his clubs in the same plane throughout his swing, which has him also not turning his wrists.